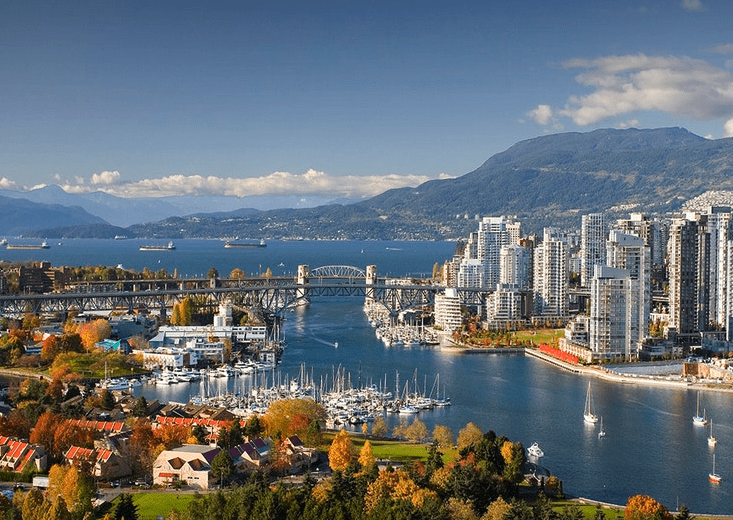 Vancouver, Canada, home of the 2010 Winter Olympics has long been on the radar of winter and summer enthusiasts. It features a beautiful science fiction-esque skyline of metal and glass buildings surrounded by the Pacific Ocean on one side and the Rocky Mountains on the other. It has something for every traveler, but if you don’t have time to fit in a quick ski session and can only see the city, here are our recommendations on what to do? Head over to the Robson Street shopping area. It is always bustling and full of life, you will find many good breakfast options to choose from. Think about checking out Twisted Fork on Granville Street for a French-inspired breakfast characterized by delectable pastries. 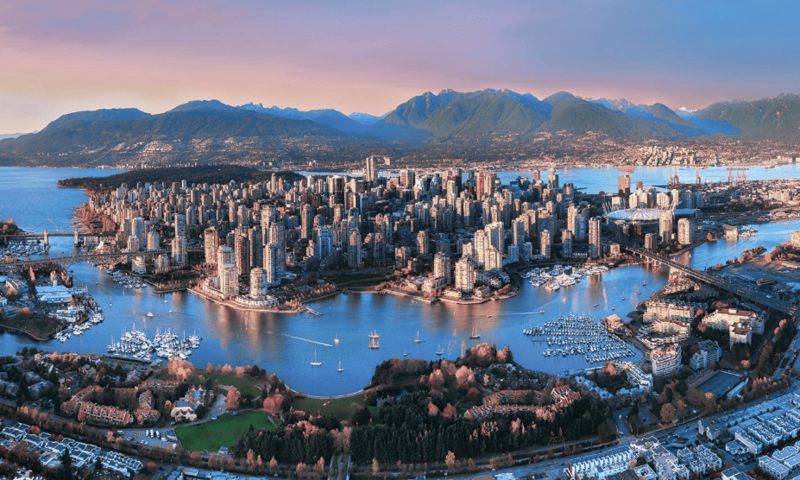 Now, that you have seen the downtown core go for a stroll in Stanley Park along the waterfront. Take in the sea breeze and look at all of the yachts in the marina. As you get to the end of the sea walk you will arrive at the Vancouver Aquarium. This is a must see and features daily shows involving the marine life, and explains the conservation work being done in the province. It’s time to mix things up and head over to the trendy Main Street area full of microbreweries. Brassneck Brewery is a local favorite and offers tasting flights along with quick bar eats like pretzels and locally made pepperoni sticks. Stop in for a good pub dinner at Portland Craft which features a daily small batch beer menu. No trip to Vancouver would be complete without a visit to the artist and foodie paradise that is Granville Island. You can catch a water taxi from here or downtown Vancouver to see False Creek for some added sightseeing. Once on Granville, you can head into the food market and sample all sorts of things from truffles to seafood! 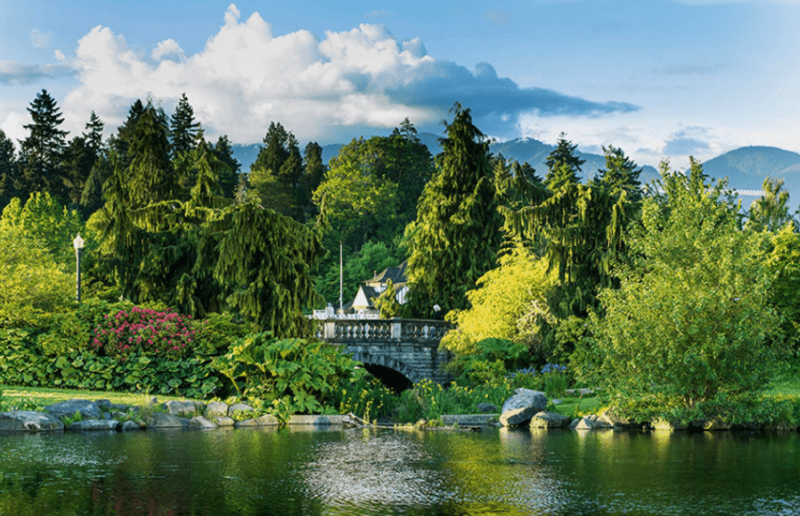 For the more athletic traveler, you can head over to Grouse Mountain and the Capilano Suspension Bridge. You can opt to do the Grouse Grind which features a grueling 2,830 step ascent up the mountain, it’s a great workout! Alternatively, you can take the gondola up the mountain. Once there you can walk around and see the lumberjack show, and grab a beavertail treat. One last stop is Commercial Drive. It has many little eateries like Bandidas Taqueria which serves up all sorts of vegetarian and vegan Mexican food and makes their own amazing hibiscus lemonade. Be sure to check out the independently owned Rio Theatre as it often has art exhibits, concerts, and indie film screenings.